Daily Prompt response: Home Sweet Home. A few weeks ago I was in Thailand looking foward to coming home to the UK, now I’m in the UK looking forward to going home to Thailand. I keep referring to home and people have to ask me where exactly I mean. So what makes a home, and is it really possible to have more than one? Cornwall is my real home. It’s where I was born, grew up, went to school and made most of my oldest and dearest friendships. It’s where I made the memories that stick in my mind like old photographs. It’s the familiar, the comfort blanket, the home cooked meals. Thailand is where my house is, my job, new friends and of course my cat (does a day go by where I don’t mention her?!). It’s where the man I love is (pass the sick bucket, I do apologise). Things are starting to become familiar, we have gradually made a home for ourselves over the past year and we have most definitely created a whole load of memories. 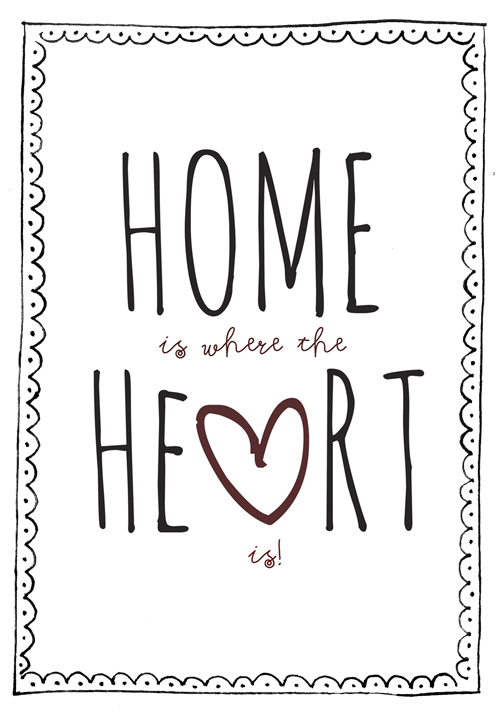 Some say that home is where the heart is, but when your heart is in two places I guess that means that you can have two homes.Just a quick note in response to this post over at The Daily Post.